"An intense, rapidfire thriller with plenty of twists and turns from a rising star of the genre." "This is a compulsive against-the-clock thriller that cleverly turns the kidnap plot on its head. Great stuff!" 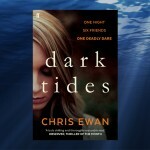 "This is Ewan’s second thriller, following hard on the heels of his excellent Safe House, and it shows he is well on the way to becoming a leading member of the new generation of thriller writers … With a finale in the caves of the Calanques in southern France, it has pace, intrigue and exceptional characters, notably Trent. Let’s hear more of him." "Accomplished … Film scouts will surely be eyeing it up." 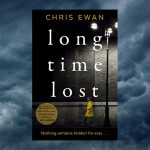 "The picaresque writings of British novelist Chris Ewan are quite unlike anything else in the current field as this latest immensely enjoyable novel demonstrates; it is absolutely no surprise that the book arrives emblazoned with praise from another master storyteller from the UK, Robert Goddard … Typically involving and colourfully written Chris Ewan fare." "Ewan has a smart, hard style that’s a pleasure to read. Add a plot that twists like a knife in the gut, plus atmosphere so strong you need a shower afterwards, and you get a package that packs a brutally satisfying punch. This is the real deal." 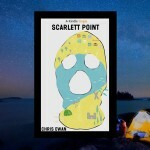 "Chris Ewan writes a great thriller and no mistake. From its explosive opening to a heart-pounding finale, DEAD LINE takes the reader on a relentless switchback ride where the pace never lets up and there are slick twists at every turn. Hugely enjoyable." "Spellbinding action at a furious pace. I read it in one sitting." "DEAD LINE is a fast-moving story of kidnap and betrayal which seizes your attention quicker than a ransom note, and never lets go."